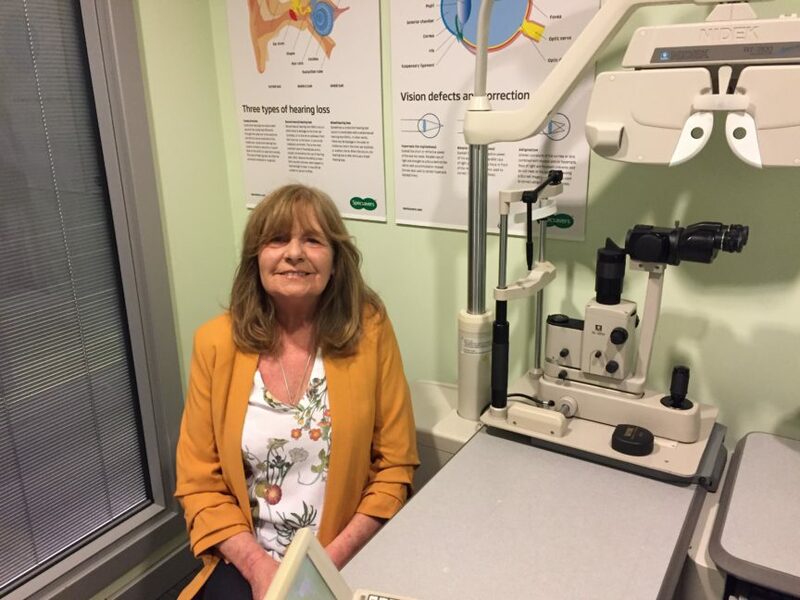 Helen Clarkstone, 69, says she is thankful for the diligence of her optometrist, after an eye test picked up on the early stages of a sight-threatening condition which, without treatment, could have resulted in permanent vision loss. Helen noticed a dark spot in her vision on a Saturday afternoon. Monday morning came around with no improvement to Helen’s vision, but as luck would have it she was due to pick up her husband’s hearing aids from the Specsavers store in Arnold, Nottinghamshire so asked if she could have an emergency eye examination, and was seen within twenty minutes by an optometrist. ‘Using the technology we have in store, it was clear that something was very wrong with Helen’s eyes,’ says Vineet Nehra, optometry store director. After her referral, Helen underwent an operation at the Queen’s Medical centre to help repair the detached retina. Following the operation, she had to spend 10 days lying on her side for 40 minutes of every hour as part of the recovery process. Helen is recovering well and she says that her vision, despite being a little blurry after the surgery, is getting better each day and her prognosis is good. Vineet adds: ‘Our public health message is that the earlier an optometrist can identify problems and seek correct treatment, the better the outcome. I’d like to encourage anyone experiencing symptoms such as pain, floaters or flashes of light in their vision to access our walk-in eye health clinics’.